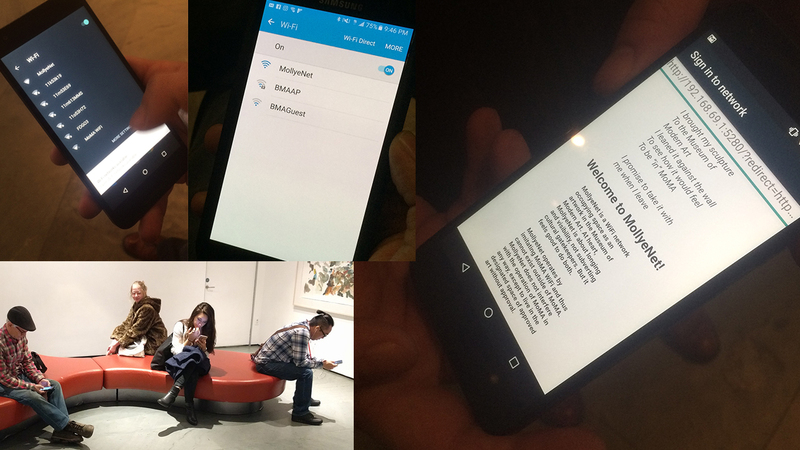 MollyeNet is a WiFi network that occupies space as an artwork in an art museum. At core, MollyeNet is about longing and visibility, not subverting cultural gatekeepers. But both are acceptable. MollyeNet has successfully exhibited at the Baltimore Museum of Art and the New York City Museum of Modern Art. Visitors attempting to access WiFi on their phones see this network alongside other WiFi networks in the museum.